Why Digital Marketing for Dentists So Crucial? 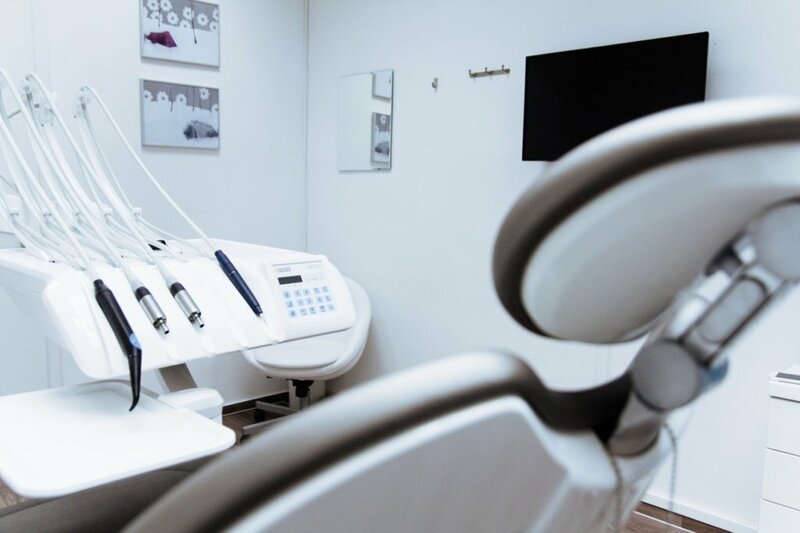 In order to maximize the number of patience your dental practice serves its crucial you don’t overlook establishing the right digital marketing for dentists from the beginning. With so many digital marketing techniques out there its hard to know what to focus on. In this post I’ll be going over some of the most effective digital marketing techniques for dentists so you can implement these ideas into your business. First up is Search Engine Optimization (SEO). SEO is the process of ranking a website higher on google with the intent of getting more brand awareness, calls, and sales. Because of its effectiveness, digital marketing for dentists would be incomplete with out the right SEO strategy. SEO has been known to be one of the most cost effective methods of marketing. Since SEO is so targeted, businesses can see impressive results for a relatively low investment. You can read more about how effective SEO for dentists can be. One of the main reasons why SEO is so effective for dental businesses is because your webmaster has the ability to optimize your website for search terms that show clear buyer intent. An example is if someone searches for “Dentist Chicago” they are clearly looking for a dentist in Chicago in the near future. If you optimize your website so it shows up on the first page, there is a relatively high chance that the user will click on your website. Once the user is on your website they will read a bit about your practice and if they like what they see the user will fill out a contact form, call, or send an email. There aren’t too many marketing techniques that give you the ability to put your business in front of some one that is searching for your service. Each social media site has a different user demographic. The goal should be for you to clearly define which accounts you believe are the most valuable to your business depending on your target market. The more content you produce, the more exposure your business will get, but we all have limited time. The only way you can manage accounts in all social media sites is by having an employee manage them or outsourcing this to a Social Media Manager. We would love to help if you need it, just contact us. At times it makes more sense to focus on producing quality content on only a few social media accounts. The reason is that you can easily be overwhelmed if you try to produce quality content on all of your social media accounts at once. The key is to post content regularly. That will be the easiest way to grow any account over time. There are many more advanced techniques to the right social media marketing, but if you stay focused on producing content on a regular basis, you will see results. Pay Per Click is a type of advertising where you pay Google for anyone that clicked on your website from search terms that you specify. PPC is effective because of the same reasons that SEO is effective. PPC is very targeted, and if the campaign is set up right you can see pretty impressive results. Although it can be quite expensive it can be worth the investment. One strategy I’ve seen work in the past is where you use PPC in the first few months of an SEO campaign. Since SEO can take anywhere from 3-6 months to rank on the first page, PPC can bring in leads while your webmaster works on the SEO. At the end of the day, both PPC and SEO are highly effective. When I go out to eat I typically read the reviews. I’m sure that’s the case for most consumers out there. When they look for a product or service they, most likely, read the reviews. It’s understandable, you want to make sure you are spending your time and money right, so why not take a quick look at what others have to say about that particular product or service. Generating reviews for your business has a few positive benefits. For one it creates social proof. Assuming your reviews are positive, more reviews will show that many people have used your service, and they had a positive experience with it. The more reviews you can get, the more social proof your business has that it is providing good service. Another key benefit of review generation is that it creates trust. Any one interested in using your service will have confidence that you are providing good service and there will be less resistance to schedule appointments. One last key benefit of review generation is that it can actually increase the rank of your Google My Business Page. It’s been shown that the more reviews your business gets on the Google My Business, the higher the likelihood of your business ranking in the top results for relevant search queries. That boost in rankings will help your business see more calls and website visits. CRO would restructure or redesign the website so that the average user conversion increases. For example if you typically get 100 visitors to your website and 5 of them either call, fill out a form, or set an appointment that’s a conversion rate of 5%. If your webmaster was to change the location of the form, the color and the text around it to make it more enticing to fill out the form and the conversions changed from 5 to 10, you would now have a new conversion rate of 10%, if the traffic remained equal. The biggest benefit of CRO is that typically it does not require too much investment to increase conversions. You don’t have to look for new traffic sources, you simply have to find a way to make the existing traffic convert at a higher rate. Google has made the announcement that they are switching to a mobile first index. If your website does not work well on mobile devices, it’s position on Google’s Search Engine Page Results (SERP’s) will decrease. It’s very important that you make sure that your website looks well on mobile devices. Having a responsive website is important for more reasons that Google Rankings. Since 51% of users are on mobile devices, you may see lower conversions on a website if it is not responsive. A responsive website is no longer a luxury, it’s more of a requirement. Data shows that the number of users on mobile devices will continue to grow. In order to make sure that users have a good experience make sure your website responsive. Millennials love texting. In order to stay on top of this trend make sure your appointment request systems are using text messaging rather than phone calls. Using text instead of phone calls will increase the likelihood of a potential client making it to the appointment they initially set. The best case would be an automated text messaging system that works with your website. The system would notify them when the appointment is near and confirm the appointment.